Our work with elephants in captivity began when compassionate animal-lovers began reporting instances of abuse and cruelty they had witnessed. 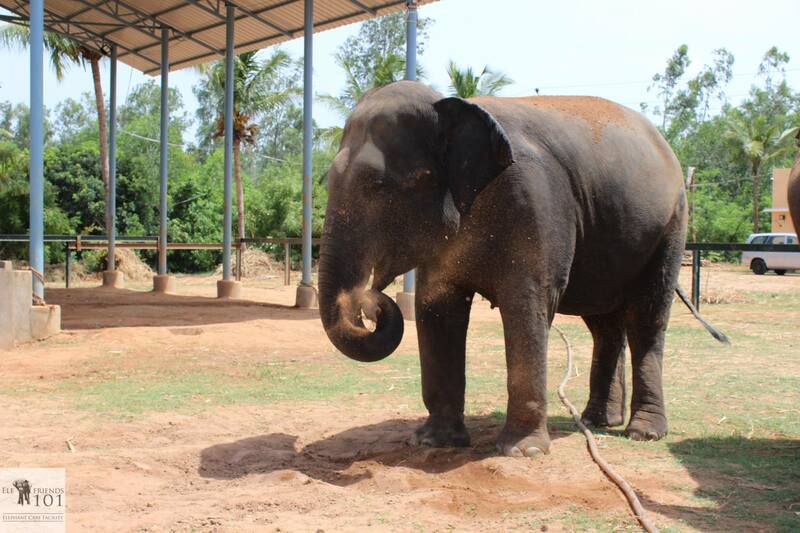 We realised that hardly anyone had any knowledge about elephants held in captivity. Their lives were shrouded in mystery. This led us, as Trustees of WRRC, to start a process of inquiry, which developed into a full-fledged and decade-long program of formal inspections, advocacy, and rescue. In India, we are accustomed to seeing elephants at weddings, in religious institutions, and participating in rituals and parades. Sadly, most of us are unaware of the cruelty and abysmal lack of care that underpins their use in these activities. 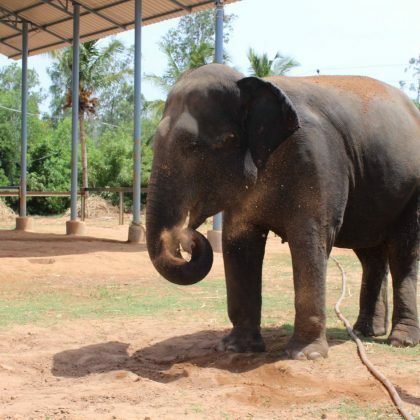 Our fateful journey began in Bangalore on 17th March 2004, when our Trustees tumbled upon the training session of a 15-year old bull elephant named Girija Prasad. 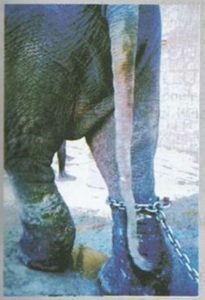 The innocent young animal was standing on the sun-scorched marble floor of a temple courtyard, tightly chained by all 4 legs with iron shackles, and being viciously and repeatedly hit with sharp metal instruments. Upon inspection we later found had 116 bloody wounds on his trunk and body! 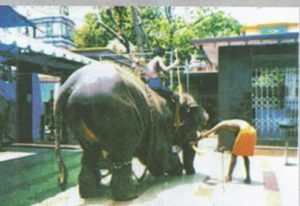 We learnt that he had been “donated” by his owners in Kerala, and what we were seeing was is punishment for being a “slow learner”. The tragedy in this was that he was an elephant from Bihar, used to commands given in Hindi, and unable to understand what was being shouted at him in Malayalam by his current mahouts. We booked a criminal case against the institution for wreaking such havoc on a helpless animal protected under Schedule I of the Wildlife Protection Act of India. 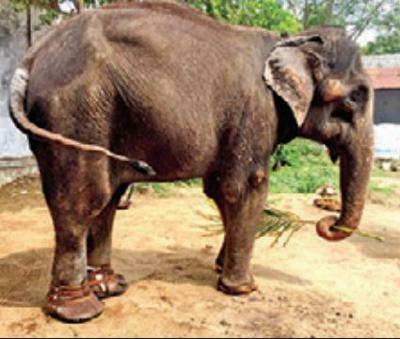 A precedent-setting 6-year litigation in the Hon’ble High Court of Karnataka followed, ending in a tumultuous victory for Girija Prasad, with his being released to the State Forest Department’s elephant camp – to spend his life in comparative freedom, in the natural environment which was his birthright – forests, rivers, and company of other elephants. You can read the full story of his inspection and rescue here (scroll down to Welfare Status Report No. 5). We began inspecting elephants at other institutions in the city, and to our horror learnt that things were not much better any where! 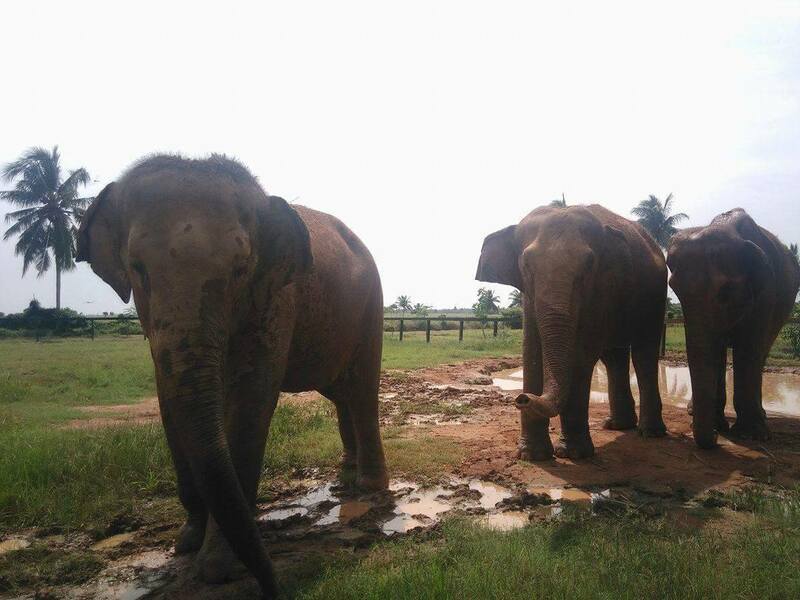 Realising that we and other animal welfare organisations were quite ignorant about the true situation of captive elephants, through our sister concern CUPA we embarked on a massive effort to collect authentic and scientific information. Much of the information we collected was initially published in Rhea Ghosh’s 2005 book, “Gods in Chains” which had been commissioned by CUPA. 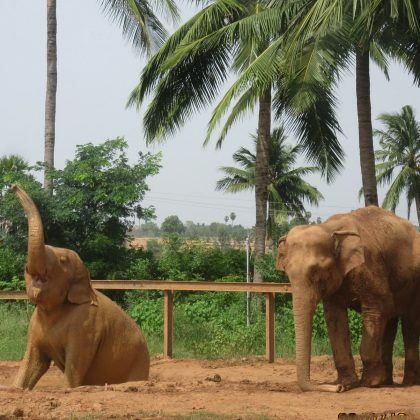 We sought grants for our research, and finally, more than a decade later we have 50 published reports on all aspects of captive elephants in India: the history, their capture, trade, commercial use, management regimes, and their role in the so-called “cultural” or commercial practices. 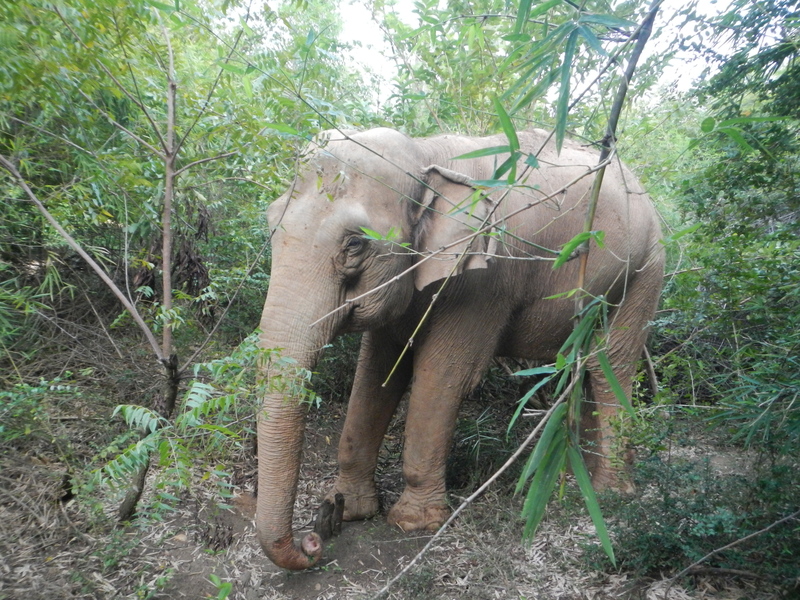 In 2014, with all the knowledge accumulated by studying more than 1500 individual captive elephants in 14 states, and by being a part of many Central and State committees set up to destroy the nexus between State Departments and illegal wildlife trade, WRRC approached the Supreme Court of India in a path-breaking litigation to secure proper welfare for captive elephants in India. 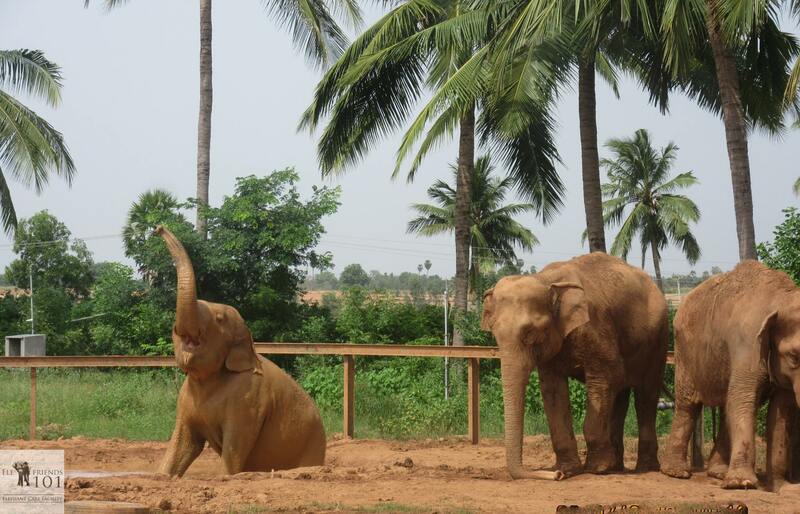 We have also rescued many individual elephants from unspeakable abuse, and have fulfilled a long-held ambition by setting up our elephant care facilities in South India, where we are exploring different models of benevolent elephant keeping throughout the country. 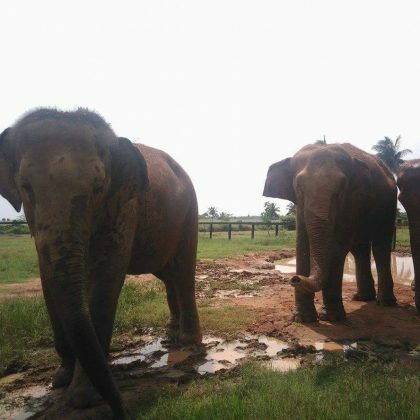 Support us in our efforts to alleviate the desperate plight of captive elephants in India, and reverse the silent tragedy of their daily lives.